I’m tempted to begin with some comment about this winter weather that has been playing havoc with church services, travel plans, and school days but I won’t – because everyone else is! However, I will ask your indulgence as I move away from resolutions this week for a special announcement that I think is worthy of sharing: The Big Class with Bishop Michael Curry began yesterday and runs through Feb. 3 and it’s not too late to register (http://goo.gl/BuqlnF)!! I have heard Bishop Curry speak in person at our own “Becoming the Household of God” conference a few years ago and again last summer at the Festival of Homiletics in Nashville. If you’ve never heard him, you are in for quite a treat!! 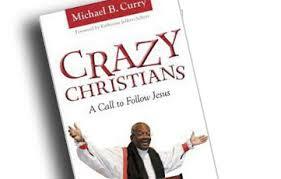 Bishop Curry’s presentation will expand on his book Crazy Christians: A Call to Follow Jesus and is based on the sermon he preached at General Convention in 2012, “We Need Some Crazy Christians.” This free, online class is made available through ChurchNext, the on-line source for Christian learning experiences designed to foster vibrant Christian formation developed by our own Rev. Chris Yaw of St David’s, Southfield. We need Christians who are not afraid to be followers of Jesus!! Getting back to our resolutions – I wonder how many resolutions we would really need if we all were “crazy Christians?” So, just maybe, The Big Class is related to our mission of addressing the resolutions from convention! Let’s see how our transformed lives working together through the power of the Holy Spirit can change the world!! 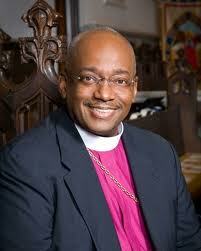 I’m looking forward to spending time with Bishop Curry via The Big Class this week! In his Crazy Christians sermon, he talks about taking roll call at the cross to see who was present. I wonder how many of us are present at the cross? Even on Sunday mornings it seems that although there are bodies physically present in the pews, many of those bodies are absent emotionally and spiritually. Hopefully those of us who take the class this week will be re-inspired to join those Crazy Christians at the cross!